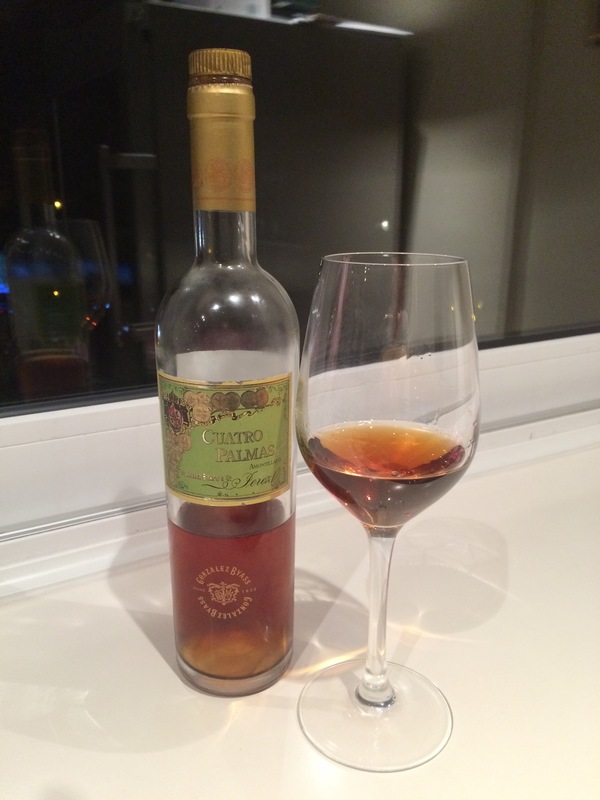 There was a glimpse earlier and here is the most venerable of the palmas range, a very old (infinitely, according to the label, but more likely around 45 years, according to earthly sources) amontillado from a single bota from the so-called “Museum Solera”. It is an amazing wine – it is fragrant, potent and long lasting, but what is really remarkable about it is its elegance. These days with all the boutique and niche sherries coming out you can get some really tough, woody old amontillados, but this one is so balanced it smells and tastes younger, lighter, but full of pure flavour. It is also so long and all round pleasing it deserves to be up there with the very best wines. A really exceptional drop but be warned – admission to this museum is pretty costly.